I have one extra copy of What the Walrus Knows, by Sarah Seidelmann!! and a bonus monkey on top of that!! I will send this autographed copy to the first person that completes survey questions that follow at the bottom of this post…correctly and completely!!! just a little bit on Sarah’s “Eccentric Field Guide to Working with Beastie Energies”…it’s fabulous, fun, and so user friendly! Sarah provides a practical and easy to understand view into how animals (real and imaginary) can provide us with valuable information about what’s going on not just around us but within us. she is spot on with her “Hummingbird Manifesto” and Tim and I were hooked reading the “Eagle Manifesto”…which appears to be pointed right at my husband with his Osprey visits! check out What the Walrus Knows, by Sarah Seidelmann! you will be blown away! 1. what did my coyote visit say to me? 2. how many times have I talked about green smoothies – on my blog, not FB! 3. how often am I supposed to give my shots? 4. what the heck is a lucid dream? 5. what are three of my MS related symptoms? good luck! you have until end of President’s Day Pacific Time to provide your responses…unless compelling circumstances prohibit your timely response! 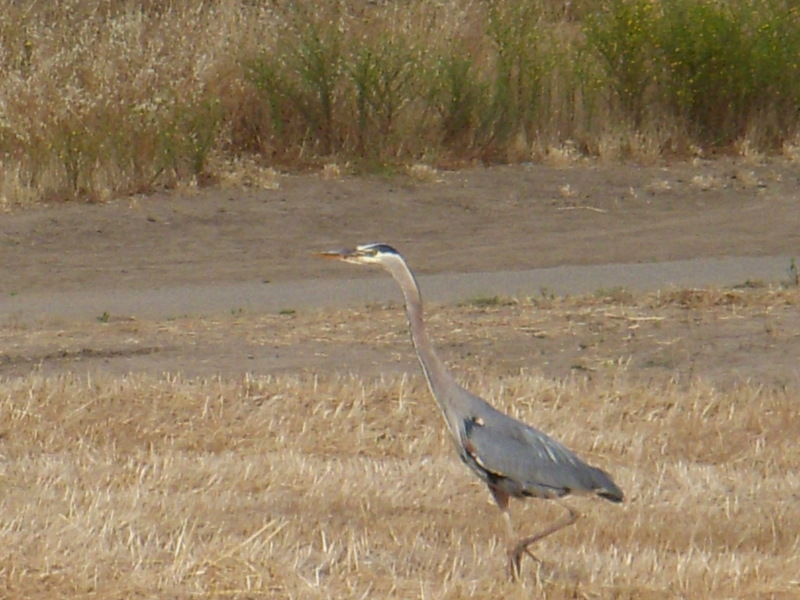 ps…a blue heron shows up periodically at the pond where we live! This entry was posted in 2012 and tagged beasties, sarah seidelmann, what the walrus knows by erin. Bookmark the permalink. 5) 3 symptoms you exhibit are Captain Jack Sparrow walking, buzzy-buzz legs, and sorta-vertigo spinning in the head. I feel good about my answers, how many did I get right?? ?